The year was 1994. I was 12 and in the seventh grade. My sister and I, and our best friend Martha and her older sister were all obsessed with our American Girl dolls. I had Samantha, my sister had Kirsten. I had gotten a copy of Samantha's Cookbook for Christmas and wanted to put on a dinner for our friends and our dolls (because you know, the dolls were hungry too). For dinner, my mom helped me [read: pretty much did all of the cooking and I probably stirred and measured] cream of carrot soup, beef tenderloin and corn cakes. For dessert, we were going to have Apple Brown Betty! This being 1994, Tom Petty had just released his album Wildflowers. It was one of the first CDs I owned, and I remember playing "Mary Jane's Last Dance" and "You Don't Know How it Feels" over and over again on my brand-new, bought with months of saved allowance stereo with a CD player! My parents had also proudly told me that Tom Petty was from Ohio, and had played at their high school dances. WHAT?! The COOLEST!! Tom Petty was a presence in our house. So when my six year old brother asked when we were going to be able to dig into the Apple Tom Petty, we all died laughing. He was terribly confused as to why that was so funny. And the joke stuck. In our house, it's forever known as Apple Tom Petty. Apple Brown Betty? Who's that? 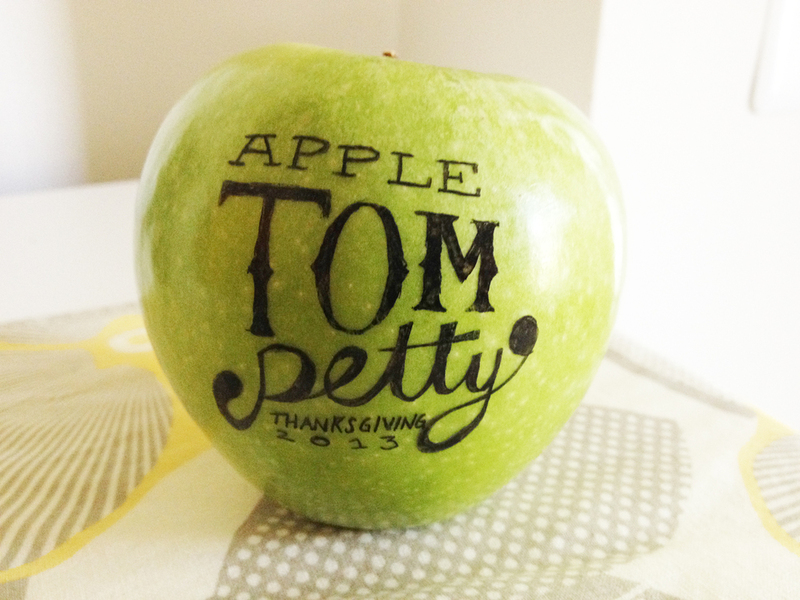 I've been tasked with dessert for the Rado Thanksgiving today, so of course it's Apple Tom Petty all the way. I'm pretty sure Samantha's cookbook made its way to Goodwill many years ago, but I've found the Pioneer Woman's recipe to be really easy and also amazingly delicious. Even if she calls it Brown Betty. Long live the Apple Tom Petty.